Historically women have been considered the primary caregivers for family members and loved ones, while men have been considered the primary financial provider. Times are changing and both traditional male and female roles are shifting to accommodate the needs of the family. How can women focus on being a successful caregiver, mother or being financially and individually self sufficient while juggling a variety of different roles? 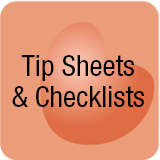 The following are 10 tips on balancing a caregiving role for women. Pick your roles wisely – Just because you think you should doesn’t mean you have to accept a role. Evaluate the reasoning behind your daily roles in life. List the pros the cons for both yourself and the other individuals the roles may affect. You may find someone else can be empowered to take on some of your duties; maybe even perform the role better, because the tasks are more suitable for them. Look at roles and responsibilities with a practical eye before choosing and agreeing to a role. Empowerment versus nurturing – You want to give, give and give, however when you give to those who can do for themselves you may be placing them in a position of becoming dependent on you for everything. Better to teach a man to fish than give him the fish. Listen to your inner self – You know when your mind, body and spirit are disconnected due to role overload. Too much to do, not enough time or energy to do all the tasks well. Listen to these moments and take time for yourself. We all need rest and relaxation in order to continue our daily tasks. Just because you’re female – Traditionally caregivers have been women but this is changing. Women no longer have to bear the main caregiving responsibility. If you feel you can’t or don’t want to accept the role – be honest and say no. Support and share precious moments with the women in your life – Women support women and need other women in their lives. Seek and maintain relationships with other women, colleagues and girlfriends to sustain you through the good and the challenging times. Take time for indulgences – bubble baths, candles, massage, facials, reading, chocolate, quiet time or a night out with the girls. Make and take moments for yourself, they help you remember the person you were before caregiving entered into your life. Pick you first – Think about what you need first to sustain yourself. If you continuously sacrifice your needs for others there may come a day when you’re burned out and can’t give anymore creating interpersonal issues with loved ones because you weren’t honest about your needs. Have a voice – When you disagree with something or someone find an empowering way to have your voice heard. Do not allow others to make you feel less than you are or unimportant. Don’t do it alone – Everyone needs help now and then no matter how independent we think we are or wish to be. Seek a balance in your every day and ask for help when you need it. Being prescribed a role just because of gender can be very challenging especially if you feel uncomfortable in the role. 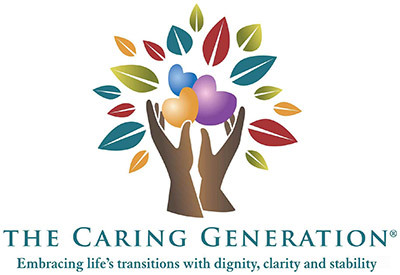 If you find you have been placed in a caregiver role and need guidance on how to navigate these waters in a way which benefits you and your loved one join the forum on The Caring Generation, explore our free library or items in our store.